Incredibly, the EPA now proposes to weaken emission standards and protections, and stifle innovation. Take a deep breath. Picture your nose, throat and lungs filtering the air and extracting vital oxygen before your heart pumps the oxygen-rich blood to each organ in your body. Now imagine filling your lungs with air that includes diesel exhaust and tiny pollution particles called PM2.5 that are about 1/30th the width of a human hair. If the Trump administration has its way, the air you breathe is about to get dirtier, filled with these tiny particles that already kill at least 1,100 Washingtonians each year. The team of researchers that I lead at the University of Washington’s Department of Environmental & Occupational Health Sciences is focused on understanding the health effects of polluted air on vulnerable people. These groups include the elderly, children and pregnant women; people with asthma; people of color; and low-income communities that face greater exposure to air pollution based on where they live. The EPA is accepting public comments on its proposal through September 30. Do you want to tell the EPA our clean-car standards should remain strong? Learn more and submit your comments at regulations.gov (Then type in: Docket EPA-HQ-OAR-2018-0283). Our research has shown that air pollution is associated with an increased risk of heart disease and higher levels of asthma. We are also investigating how air pollution may increase the risk for dementia and diabetes. Cars, trucks, SUVs and other vehicles are the single largest source of Washington’s air pollution. Fortunately, federal standards enacted under the Obama administration have led the U.S. auto industry to make remarkable progress in improving vehicle efficiency and reducing tailpipe emissions. These standards have saved Washington drivers more than $840 million and counting in lower fuel costs since 2012. In addition to improving air quality, the standards are a centerpiece of our nation’s efforts to reduce vehicle pollution and fight climate change. But just last week, the Trump administration announced its intent to substantially weaken fuel economy and emissions standards, undermining progress to protect communities from air pollution. If this plan goes ahead, the changes will directly affect the air you breathe. Until now, the U.S. Environmental Protection Agency (EPA) has helped lead our nation to improve air quality and protect our health. Incredibly, the EPA now proposes to weaken those protections and stifle innovation. Washington has a layer of protection from this proposed rollback — our state tailpipe emissions standards. As one of 13 “clean-car states,” Washington follows emission standards higher than the national standard, modeled after California’s standards. These 13 states plus Colorado, which recently announced its intent to adopt the standards, represent more than one-third of the U.S. auto market. That marketplace is a huge economic incentive to automakers to continue innovating and improving emissions. Yet this state-level protection is also under attack. The proposal from the EPA and the National Highway Traffic Safety Administration would roll back state authority to set tougher emissions standards than the federal government, effectively gutting the Clean Air Act and undoing decades of clean-air policy. I’m not the only one struggling to understand why we would take such a big step backward. The reasoning is so flawed that it is has been rebuked by the EPA’s own science advisory board. Even some automakers have balked because of concerns it could lead to different sets of standards at the federal and state levels. 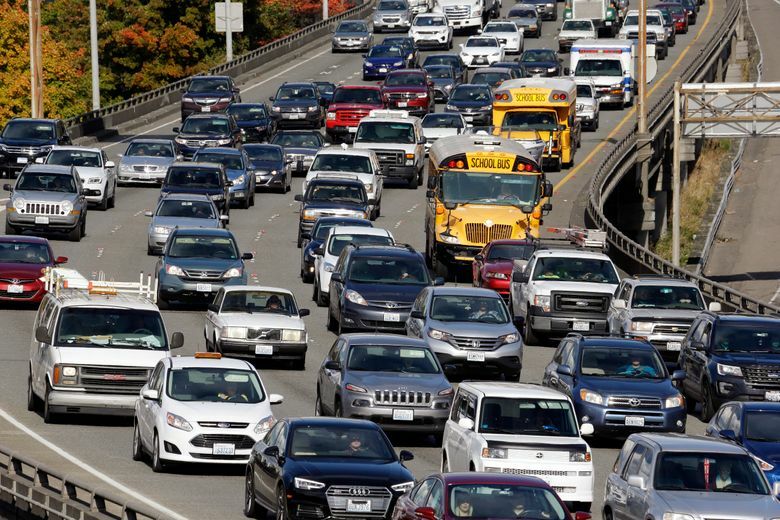 Rolling back the nation’s fuel economy and vehicle emissions standards is a terrible idea. But eliminating the authority of our state leaders to protect Washingtonians from vehicle pollution violates our right to protect our health and ensure everyone can breathe clean air. Rather than attacking states for showing leadership on this issue, the EPA should focus on protecting human health and reducing emissions. The United States must continue to lead the world in making cars worthy of our 21st-century challenges. At the very least, the federal government should not block states from demonstrating this leadership. Michael Yost is professor and chair of the University of Washington Department of Environmental & Occupational Health Sciences in the School of Public Health.